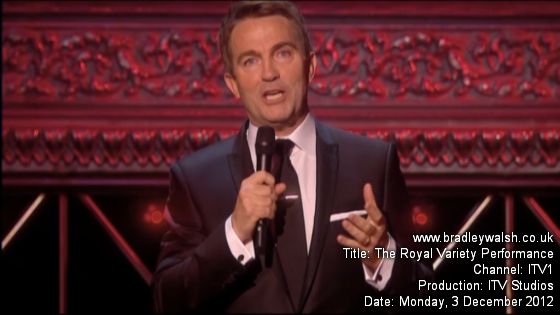 For the 100 year Royal Variety Performance Bradley Walsh retruns for his forth show in front of royalty and the nation watching the show on television around the world. 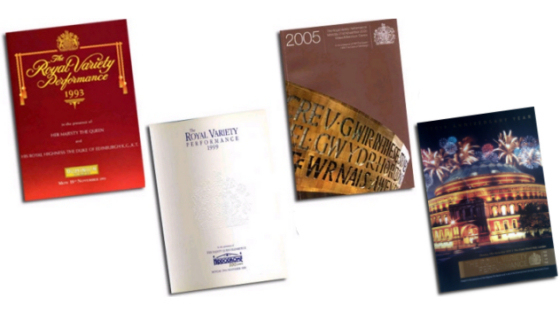 On the 21st November 2005 at Wales Millennium Centre, Cardiff the annual Royal Variety Performance entertained Her Majesty Queen Elizabeth II and His Royal Highness The Duke Of Edinburgh. 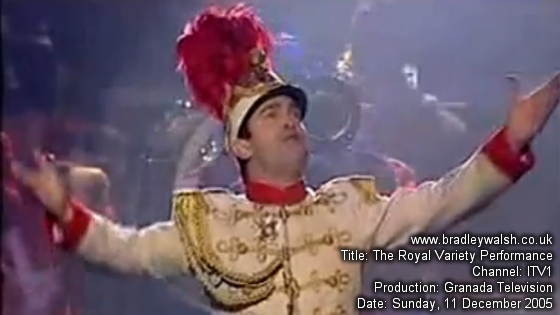 Introduced by hosts Sharon Osborne and Michael Parkinson, the show opened with Bradley Walsh singing Seventy-Six Trombones, complete with marching band of The Regimental Band of the Royal Welsh. Bradley Walsh is a veteran of the Royal Variety Performance with a total of three shows under his belt. 1999 with stars such as Brian Conley, Charlotte Church, Ken Dodd, and Barry Manilow to name just a few. 1993 compered by Cilla Black, and celebs included Michael Barrymore, Bee Gees, Jim Henson Muppets and Frank Carson.